HPLC analysis is critical and have a lot of chances of errors after a safe handling. These are some tips those'll help you in a error free analysis. 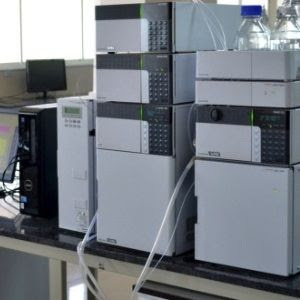 HPLC, also known as High-Performance Liquid Chromatography, is one of the most crucial analytical methods in pharmaceuticals. The purpose of HPLC is the separation of each compound that make up a mixture. It passes pressurized liquid solvent with the use of pumps which holds the sample mixture via a column full of solid adsorbent substance. There is a difference in the flow rates for each component due to the interaction of the components with the absorbent which causes the components to separate as they flow out. This analysis methodology is used to test and detect raw elements or components used in making pharmaceutical products with the use of qualitative and quantitative analytical technique. It is essentially compulsory that all pharmaceutical companies test the drug quality before sales of such drug. High Performance Chromatography helps better understand, clarify and determine the quantity of impurities and degradation substances in the volume of drug materials and formulation. 1. Column Selection for HPLC Technique Development: The approach to selecting the right column varies. The toolkit approach offers an effective and wide range consideration of separation possibilities for the investigated application. Separation under development is driven by selectivity. 2. The profiles of the gradients, additives, modifiers and the nature of the stationary phase are the crucial parts of the selectivity. Characteristics and supports of a stationary phase which drives selectivity have to be put into consideration. 3. Visual Assessment Technique for Column Performance: Firstly, it is imperative to know a few things about the key relationships in chromatography when designing an experiment. You have to take the peak capacity so as to avoid an explosion. 4. How to Set up a UV Detector: UV detector is frequently used the in HPLC analysis, because they are considered easy to use and produce useful data. Sometimes the UV detector could be required to perform an unusual task to get better baselines, sensitivity and better reproduction from the detector. 5. The type and volume of flow cell will impact the sensitivity of the technique and efficiency of the peaks. Setting the slit width to a narrow width will improve the resolution of the spectral, bandwidths and references. It is important to note that a wide bandwidth has an edge of noise reduction by middling over a diode with greater range. 6. How Sample Diluent affects HPLC: Sample diluents which are used in the preparation of HPLC samples can affect the peak shapes and retention times of HPLC. To annul overload effect, the volume of sample injected should be lower than the peak volume with about 15%. The values of the peak and resolution should be constantly noted to ensure no effects are happening. 7. Buffer Selection for HPLC Separations: A buffer is a solution that withstands a difference in the pH. It is an aqueous solution that comprises equilibrium of a mixture of a weak acid and strong base or vice versa. Many factors affect the selection of buffer; examples are the required pH of the mobile phase or the volatility of the buffer. If the buffer is chosen wrongly, it will be required to be added at a greater concentration so as to work well. This will tend to cause problems associated with the technique’s robustness. 8. Peak Tailing in HPLC Analysis: This is one of the usual peak shape distortions in chromatography. Once the asymmetry is higher than 1.2, it is referred to as peak. The main reason for peak tailing is because of occurrence of multiple reactions of analyte retention. To avoid peak tailing, ensure the system is working at a lower pH which will reduce secondary interactions when carrying out the separation in chromatography. 9. How to Solve Robustness Problems in HPLC: It is imperative to check the gradient profile or data system to know if the gradient has been inputted properly. Any alteration in the gradient dwell volume is taken care of. As soon as the checks are done, find out the eluent composition, this can be done by making a new set of eluent. The kind of organic modifier concentration sometimes has an effect on the selectivity technique, so as to know the exact organic solvent that is applied in the current proportion. 10. Retention Time Shift in HPLC: Wrongly prepared mobile phases bring about a swift change in retention time. So here a few tips on what to do and not to do. An isocratic mobile phase should not be prepared in a measuring cylinder, do not apply organic to aqueous to get volume. A wrong solvent ratio will be derived. Ensure that the right buffer is used and also the correct pH. For mobile phases pre-mixed, do not separate under vacuum.